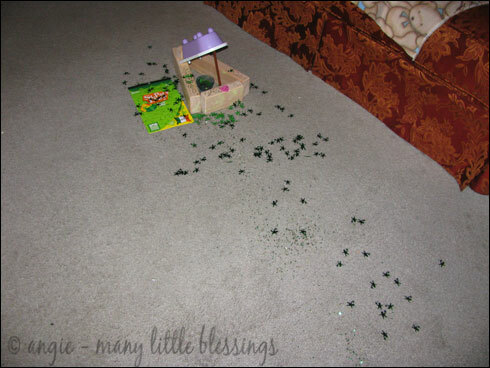 The Spring Spruce Up really kept me busy last week, so this is the first chance that I’ve had to share about our visit from Seamus the Leprechaun this year. Seamus the Leprechaun came for the first time last year, and the children were quite surprised by the antics he played. 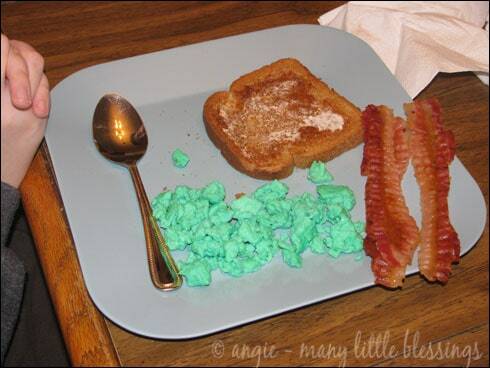 The kids were already talking about being excited for next St. Patrick’s Day by mid-morning of March 17th. Seamus was definitely a hit this year again! 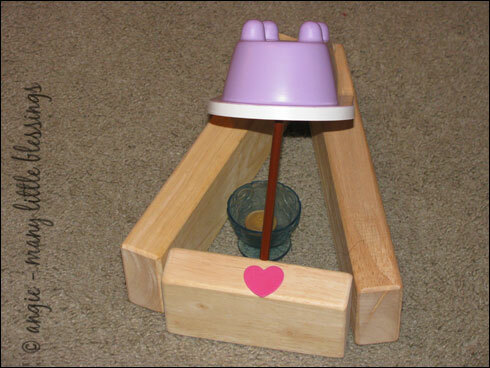 The children set up a trap to catch Seamus. They put in a golden coin to try to trick Seamus to come in, hoping he would accidentally knock into the pencil on the way in. Molly said the heart was there so he would be tricked into thinking that they were welcoming him in. 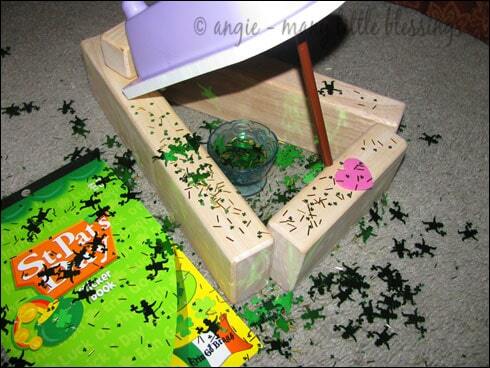 The children not only caught one leprechaun, they ended up catching tons of them. Of course, they were all small and shiny. 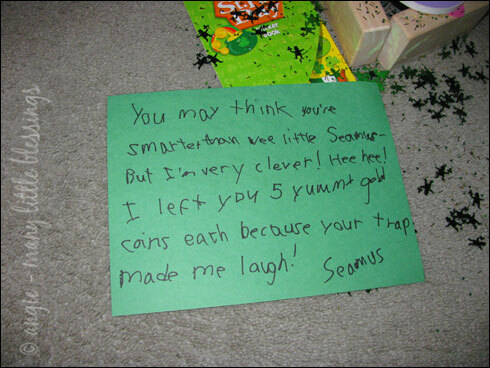 Seamus also left the children a note. He let them know that maybe their trap wasn’t so clever after all. 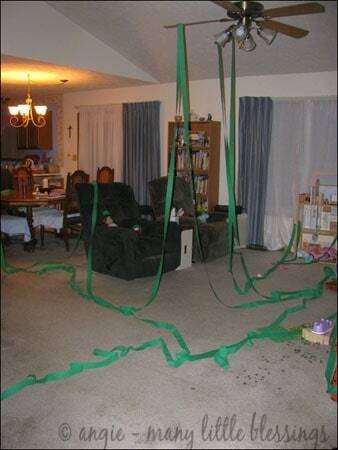 The living room floor wasn’t the only one that got decorated. 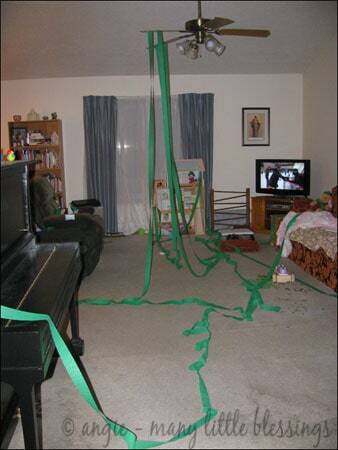 The children were all surprised to find something on the floor when they got out of bed. 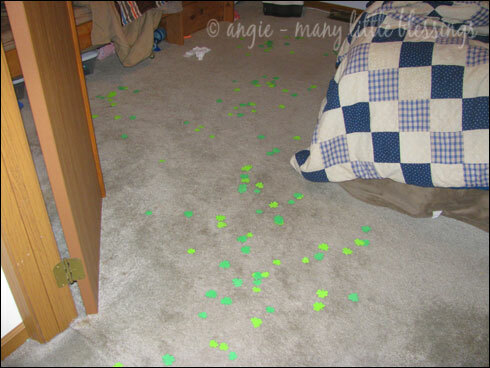 These were shamrock-shaped foam pieces. 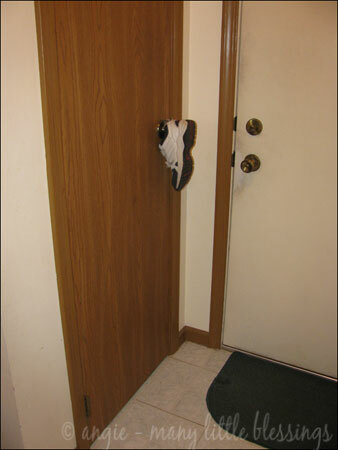 Seamus put the children’s shoes in all sorts of silly places – from the doll house to a door knob to the top of the refrigerator, as well as many other places. This one was my favorite. Seamus made sure that six dolls/stuffed animals joined in his fun. 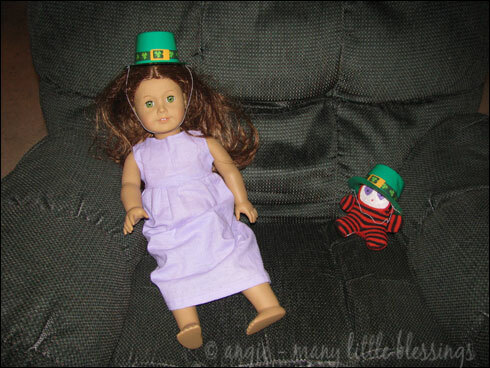 They were sitting in various parts of the living room wearing green plastic St. Patrick’s Day hats. 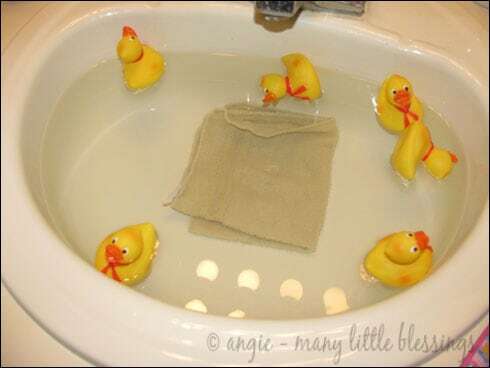 The first person to use the bathroom in the morning was quite surprised to find that Seamus had left some friends in the bathroom sink. Quack, Quack. Wow – now that’s high! 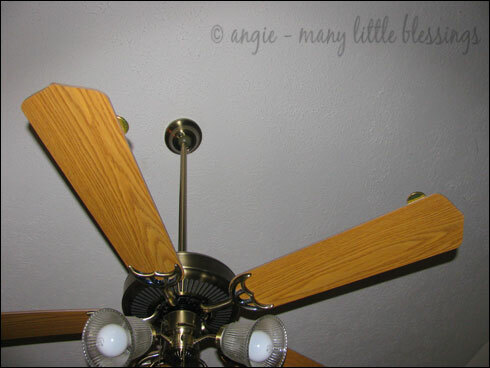 I’ll only show this photo of this trick of Seamus’ because, quite frankly, it turned my stomach. We decided to have egg whites for breakfast, and found a strange substance in the pan we would use. The kids said we should go ahead and make the eggs in it without washing it. (What’s up with those kids? 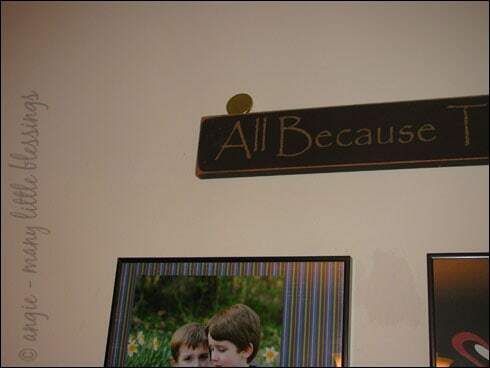 Seriously?) Our whites almost instantly turned green. I personally vow that Seamus will never color our eggs again. Never. Oh, that’s funny! Loved the note AND the green eggs, though I’m not sure I could eat them! Um, yeah, the eggs are gross. The rest of it looks like fun, though. If you could see the actual pan of them (which I did take a picture of), you would be horrified. It was so disgusting! This reminds me that I want to do a Wacky Wednesday sometime. That is so cute. I never pull things like this off and I really want to start to. Great ideas, thank you!